The Nilgiris, Blue Mountains of South India, is located at the junction of the Eastern Ghats and the Western Ghats, the two prominent mountain ranges that run almost parallel to the coastlines of Peninsular India. The district is located over an elevation range of 1,000-2,636 m above sea level, comprising hilly peaks, plateau and lower plateau regions - most of the settlements are located in the latter two elevation ranges. The district is home to a number of indigenous communities and they include the Todas, Badagas, Kotas, Kasavas, Irulas, Kurumbas, Jenukurumbas, Mullu Kurumbas, Bettu Kurumbas, Kattunaickens, Paniyas, Mandadan Chettis and Wynaadan Chettis. Water resources in the hill district of the Nilgiris, play a crucial role not for drinking and other uses to the rural and urban communities in the district, but also serve as the upstream source to four river basins serving the states of Tamil Nadu, Karnataka and Kerala. The water resources of the district are used for power generation and account for more than a third of total hydro-power generated in Tamil Nadu. Water as a natural resource plays a vital role in the ecology and economy of the district - be it in the large scale hydro power, the tea estates or in the forest dweller’s livelihood system. 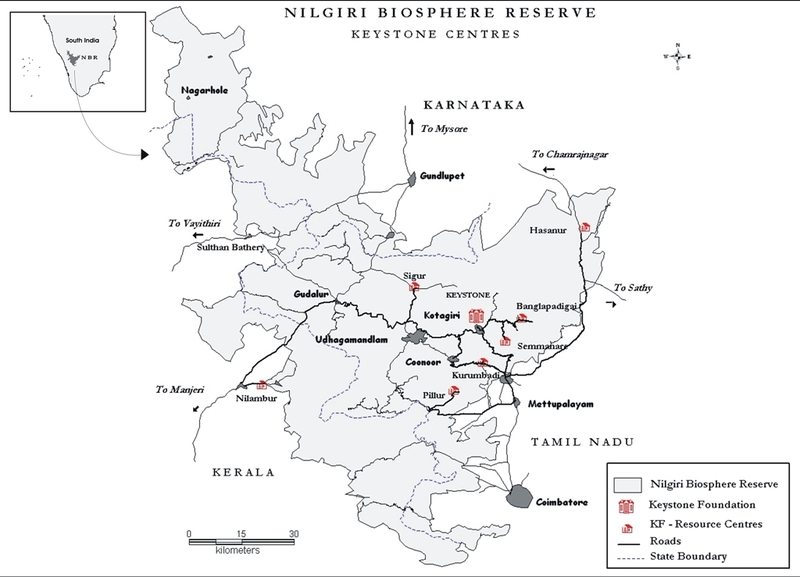 The Nilgiris is the source of two main river systems - the Bhavani and the Moyar, which comprise several streams emerging from high altitudes and flowing down to the Cauvery basin in Tamil Nadu. The Nilgiris is home to unique wetlands that are the source of sustenance of numerous animals and human communities. Wetlands are among the more important reservoirs of biodiversity that nature has painstakingly crafted over millions of years. Wetlands are highly productive and are cradles of biological diversity, providing the water and primary productivity upon which countless species of plants and animals depend for survival. They form refuge areas in times of drought, provide important breeding and nursery areas for a large range of animals. Home You are not signed in!